These are my most favorite cookies. Buttery and nutty with a hint of sweet. Beat butter until creamy. Add half of the flour with sugar, egg yolks, and vanilla. Beat until thoroughly combined. Beat in remaining flour. Cover and chill for 1 hour or until easy to handle. Press center down with your thumb. Bake at 375 degrees for 10-12 minutes or until edges are slightly brown. Cool. Fill centers with frosting. If you like, tint your frosting to match the occasion. 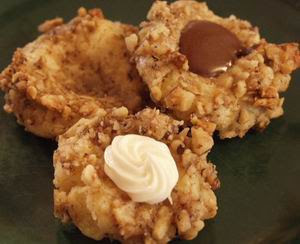 These cookies are easy to freeze if they make it that far! Bring to room temperature before serving. Here is a twist, using the same base. 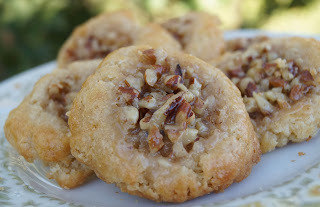 Pecan Pie Thumbprint Cookies! Brown ground beef, drain if needed. Add tomato soup, veggies, water, Worcestershire sauce, and Velveeta. Pour into 9x13 or similar size baking dish. Bake for 15-20 minutes at 350 degrees. Meanwhile, quarter biscuits. Remove dish from oven and place biscuits on top. *You can also used your own biscuits. Heat the casserole without the biscuits and just ladle over the top of your biscuit in each bowl. Mix half of the spices and oil together and add chicken to coat. Set aside for grilling. Dice green pepper and onion and add along with the other 1/2 of the oil and seasonings to a large pot. Cook until soft, 10-15 minutes. Chop chicken into chunks and remove corn kernels from cob. Rinse beans in colander. If you don't the brown beans will make your soup dirty looking. Cut tortillas into strips and fry in small amount of canola oil until crispy. Drain. Dish it up anyway you like it with the cheese, tortilla chips, sour cream, and/or avocado! No cream of "stuff" soup for this dish. Make your own mushroom gravy, it's really easy! Make mushroom gravy with first 6 ingredients. Brown hamburger, drain if needed. 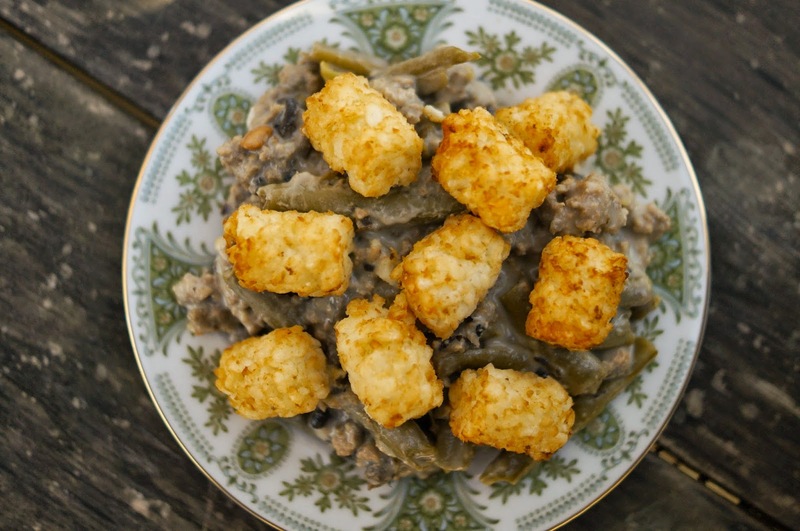 Mix in green beans and mushroom gravy. You can bake according to tot directions (mine was 450 degrees for 25 mins) or bake at 350 for 30 minutes and then broil. My husband chose the latter of the two this time. 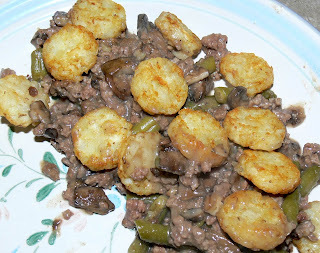 Brown ground beef in large saucepan and drain off most of fat. If your hamburger is as lean as mine you won't need to drain it. Meanwhile, dice vegetables. I used my Pampered Chef Food Chopper. Add onion, carrot, celery, and garlic to hamburger. Saute for 10 minutes. Add remaining ingredients except for pasta. Simmer for 45 minutes - 1 hour or until veggies are tender. Meanwhile cook pasta. When soup has finished cooking, add pasta to the soup. Serve with shredded cheese or grated Parmesan on top. TO FREEZE....cool and place in freezer bag or vaccuum seal bag. When you are ready to use just thaw and reheat! ** To make gluten-free, use rice noodles. I used Tinkyada PastaJoy Brown Rice Penne I picked it up at Wal-Mart. Preheat oven to 350 degrees F. Lightly grease cake shaped pan. Using an electric mixer, cream butter, brown sugar, granulated sugar, eggs and vanilla together. Stir in flour, baking soda and salt. Add remaining ingredients and mix well. Scoop into pan. Bake for approximately 20 to 25 minutes. Cool on baking sheet or cooling rack. NOTE: I used a 10" springform pan for easy removal. Cool cookie COMPLETELY before trying to move it as it is very soft when it comes from the oven. Mix all but broccoli together. Break broccoli head apart into nice bite size pieces. No one wants to chew on a tree when they are eating a salad. Leave on sheet for 2 mins or so before removing or they will fall apart. I like chewy not crunchy so I bake less than I think as they continue to cook a little after they are out. They look a little puffy but 'fall' after they are out of the oven. Dough freezes well or can be made into smaller batches. I made a batch a little over 1/2 size for a bakesale and it made 45 medium scoop cookies and 18 large scoop cookies. My medium scoop is between 1/4-1/3 cup and baked for 7 mins, turn pan, 5 mins, and then 2 more. Leave on sheet for 2 mins or so before removing or they will fall apart. If you use dough straight from fridge, it will need to be flattened a little bit with bottom of glass(wet with water in between) and will take a tiny bit longer to cook. 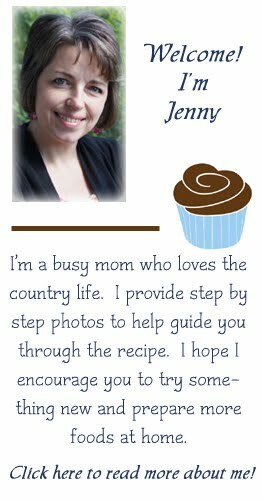 I prefer pecans for the nuts and milk chocolate mini Mand Ms (found in baking aisle) and milk chocolate chips instead of semi sweet.